How cool is this video???! Look how different Vancouver looks like – almost 40 years ago! I’ve cycled along some of the same roads/ areas as this cyclist 🙂 I’d love to be able to do a video like this very soon…. and then people 40 years from now could look on amazed at how much Vancouver has changed! 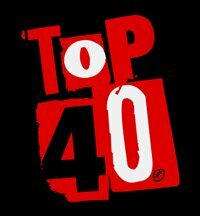 Thanks to VancityBuzz Blog for posting this video – this blog shares some really cool material relevant to Vancouverites! Train Ticket from SEA to VAN is booked! 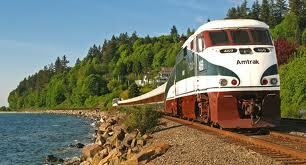 Just booked my one-way ticket from Seattle to Vancouver with Amtrak Cascades! The last time I caught this train was on my 27th birthday, when I went for a mini break to Seattle. I remember I was so excited to visit Seattle that time and nervous that I’d miss my train that i didn’t bother to sleep the night before!! 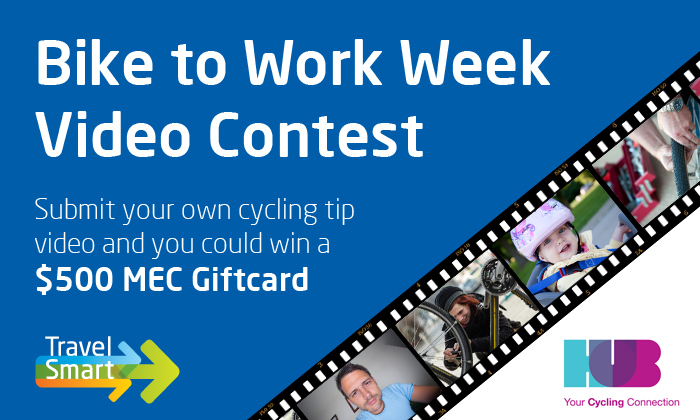 This time around I will cycling to the city – hence the one way ticket back! And the ride back departs at 6:50pm so plenty of time to catch some ZZZZZs. 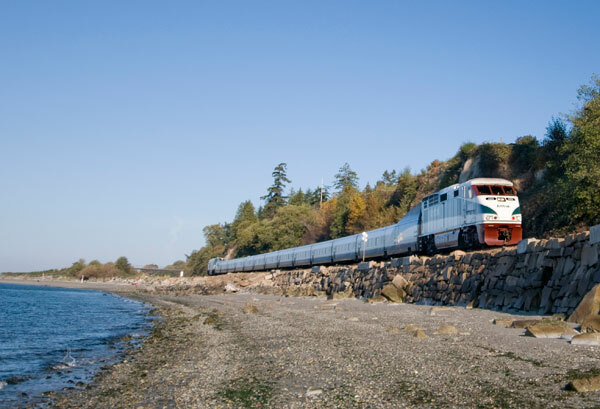 The journey by train is spectacular – it’s right on the coast, so you see the most amazing scenary as you stretch back in your seat. Also – it has free wi-fi and a cafe to order food/ drinks from. WAY MORE comfortable and relaxing than catching a Grey Hound bus! 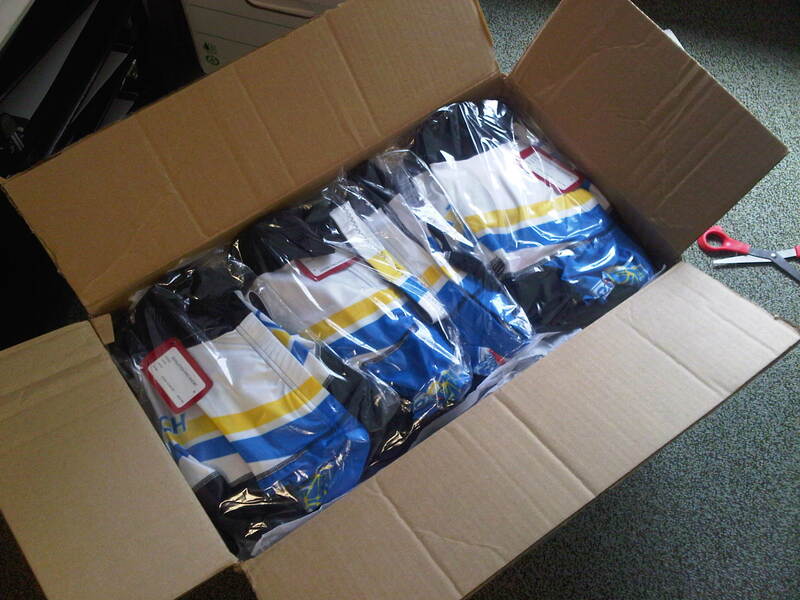 Our Ride to Conquer Cancer Team Kit (Jerseys, Shorts & Arm Warmers from Sugoi) arrived this week!!! I’m stoked with final result! Our logos look great on the chosen design and the quality of the tailoring is outstanding. If any of you are considering ordering some team kits for a team sport – Sugoi are the way to go. Just bear in mind that they have a 5 week lead time, so plan ahead!! I did stock-taking as soon as I unboxed the shipment and organized all my team mates orders for them to collect. I have a weird affinity for stock-taking… it’s fun! Will post some pics of myself actually wearing my team kit after my next ride! 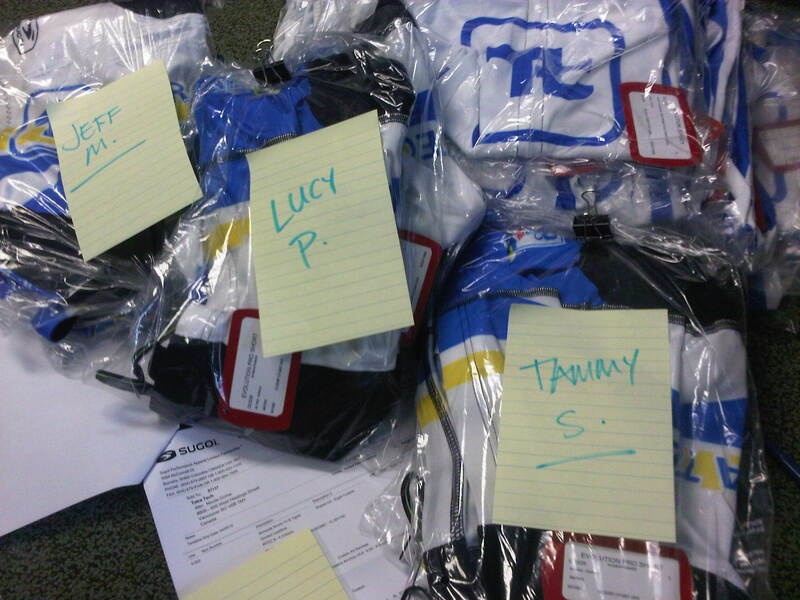 Our Team Tetra Tech Uniforms are on the way! 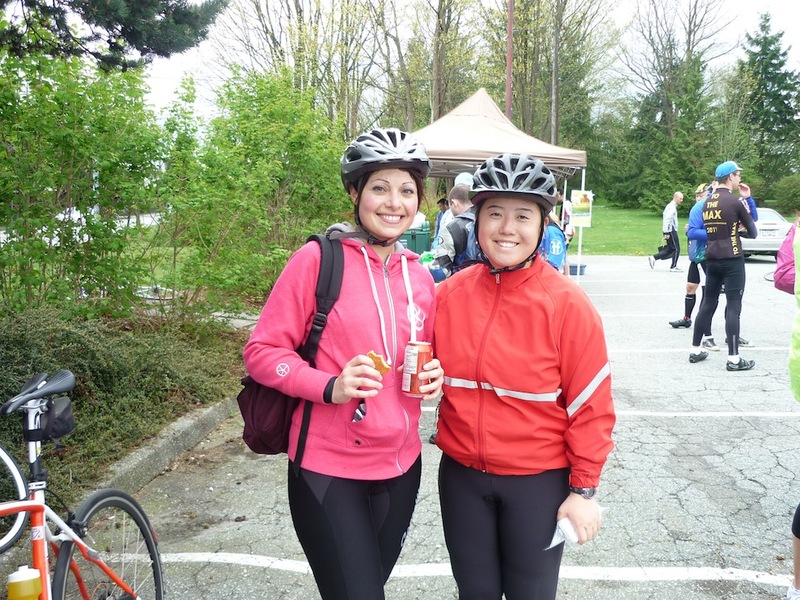 Last Sunday (May 20) my friend Kathy and I went on what was meant to be a 100km training ride – but sadly we didn’t even make it to 30km! The ride started off on bad note as I received some terrible news from my uncle as I was getting ready to leave the house. My mom has breast cancer and is due for a mastectomy (and possibly chemo if it’s already spread) next month. I can hardly believe this is happening to my poor mom. The reality of this news has hardly sunk in for me …. I always thought she’d end up getting cancer when she is old because she smokes so much… just never BREAST cancer when she is in her early 50s. Well, I went on the training ride anyways because I needed to be outside to clear my head and I didn’t want to be alone right at that moment. Kathy and I really soldiered on through the rain that started to really come down once we reach Richmond. Rain AND wind I should add. By the time we had reached Richmond/ New West we gave up and desperately searched for some shelter – which happened to be the Starlight Casino. Thankfully Kathy’s brother Chris was available and nice enough to come rescue us! 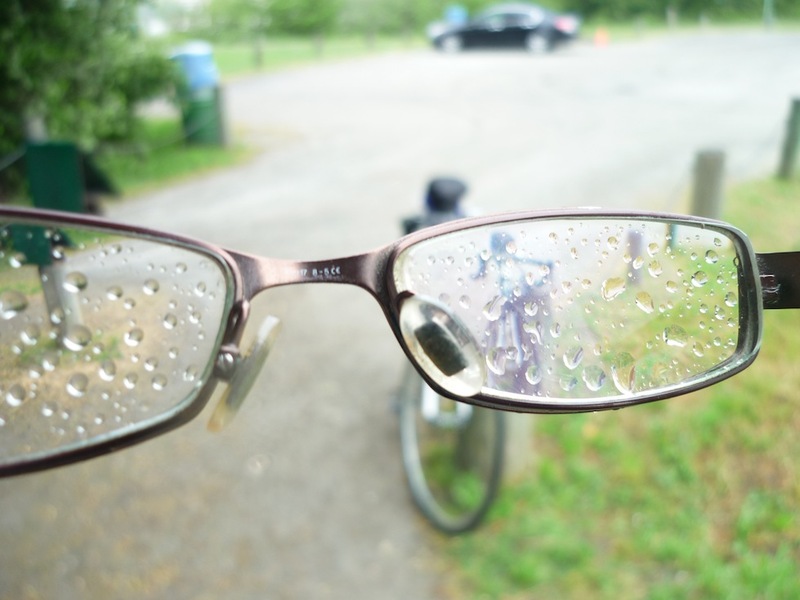 My seriously wet glasses to go with my wet EVERYTHING! We were sooooo soaked! Unhappy, Wet and so Cold!! Starlight Casino Location – It’s in New Westminster!! If you’re reading this – please say a little prayer for my mom (and all moms) who are battling cancer this year – as well as all the trained professionals – from nurses to psychologists to surgeons who help them get better! 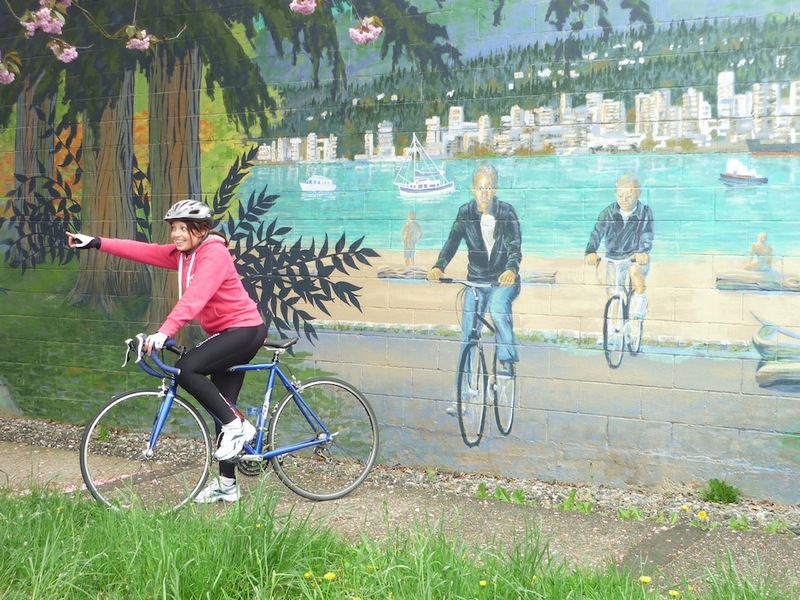 Vancouver is fast becoming one of the best cities in thw world to get around on your bike – and I state this from a completely biased POV since I only just started riding a bike and that is within the confines of the Lower Mainland…. 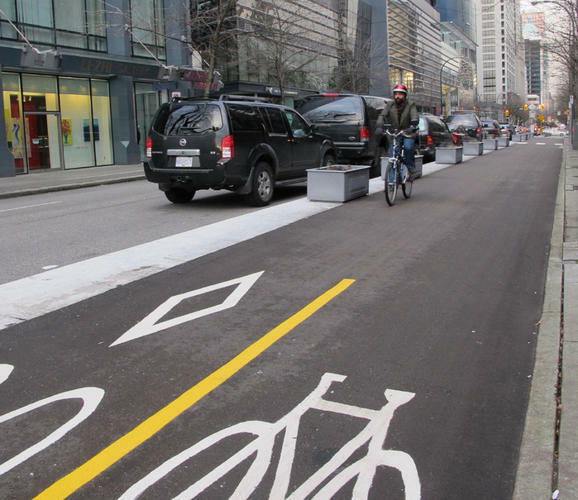 yet, it is very encouraging to read news of further bike lanes to use in the near future! 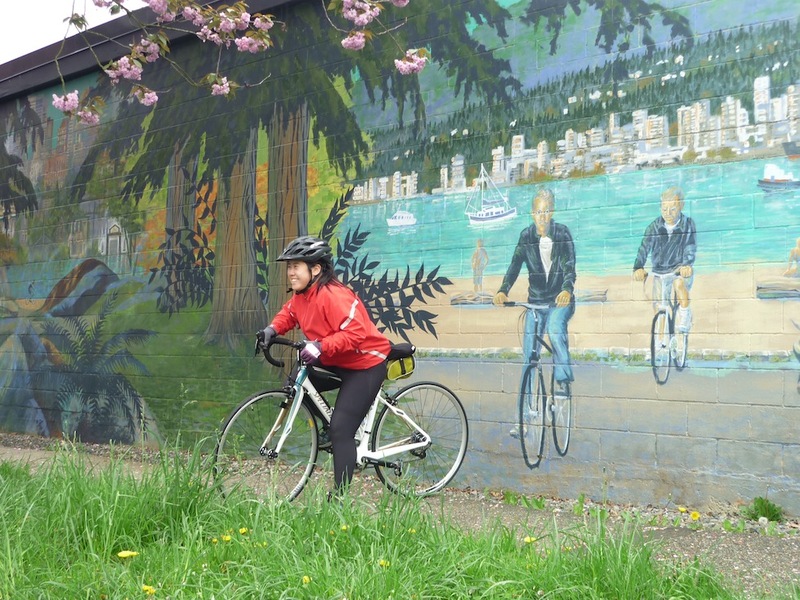 The city is considering turning parts of Commercial Drive, Point Grey Road and Cornwall Avenue into bikeways as part of the next phase of its quest to reduce bicycle-vehicle conflicts. Obviously – the idea is meeting mixed reviews ESP with businesses along Commercial Drive who are worried about the potential commercial impacts. This fall the city also expects to move head with the long-planned Helmcken/Comox bikeway in the West End (my neighbourhood). 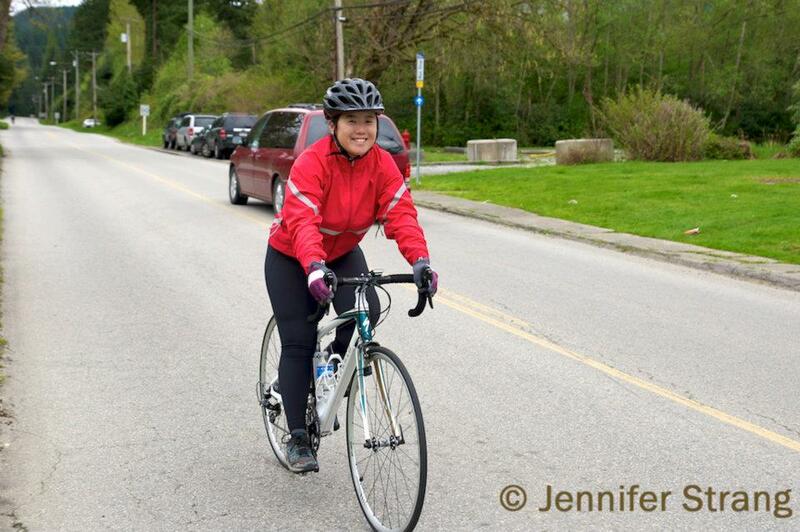 I really support additional bike lanes – my friends and I are always selecting these routes to get around as they are way safer, and cycling is becoming more and more popular among Vancouverites. I have been meaning to unfurl my yoga mat for a loooong time now… and look what an awesome yoga class I found to do just that! This is a complimentary class offered at the Robson Street Lululemon Store on Saturdays from 8:30am – 9:30am. Cannot wait to try this class out! 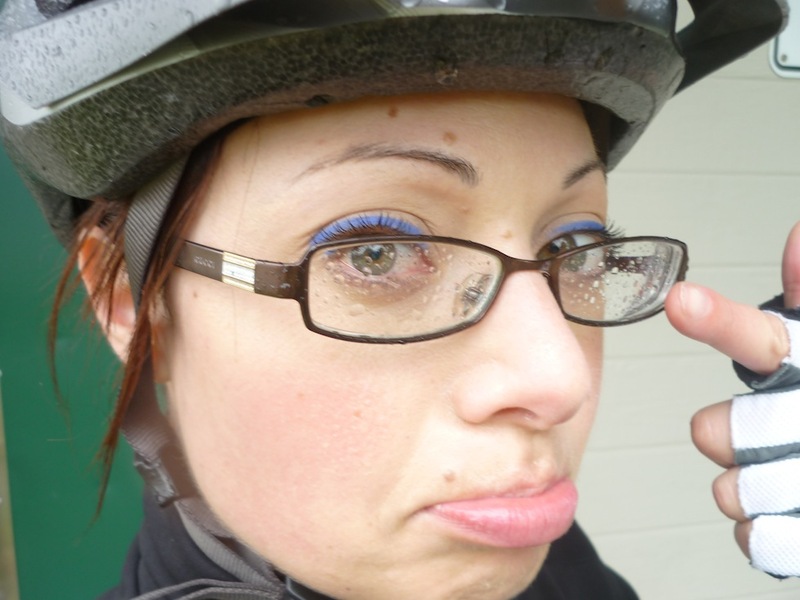 Have been meaning to write up a post about this training ride for way too long now! 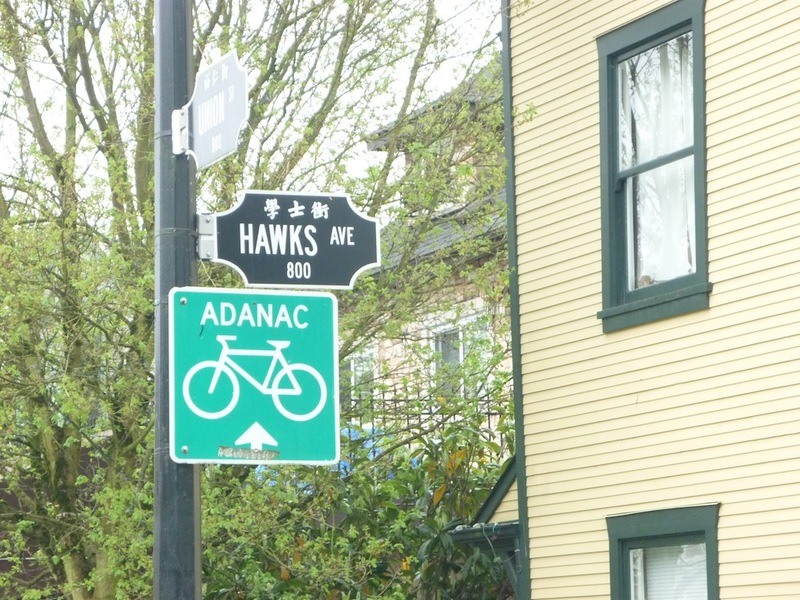 We took the Adanac (Canada spelt backwards)/ Union Street bike route that connects Vancouver to Burnaby and seriously underestimated how long it would take us to reach the start line! Note to self: NEVER drink heavily before an early morning training session. 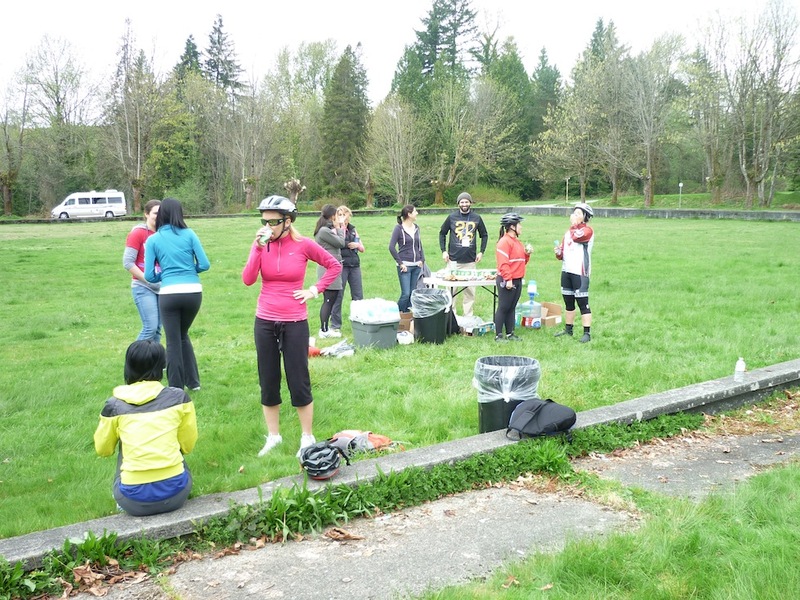 Here are some snaps from our ride! 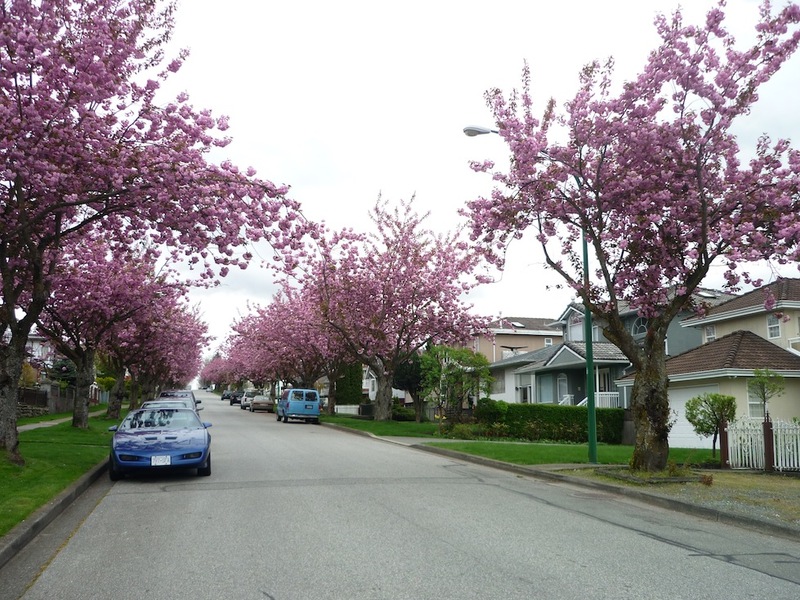 The street was lined with gorgeous pink Cherry Blossoms. I cannot get over how gorgeous these trees are! Vancouver in Spring – So Romantic! 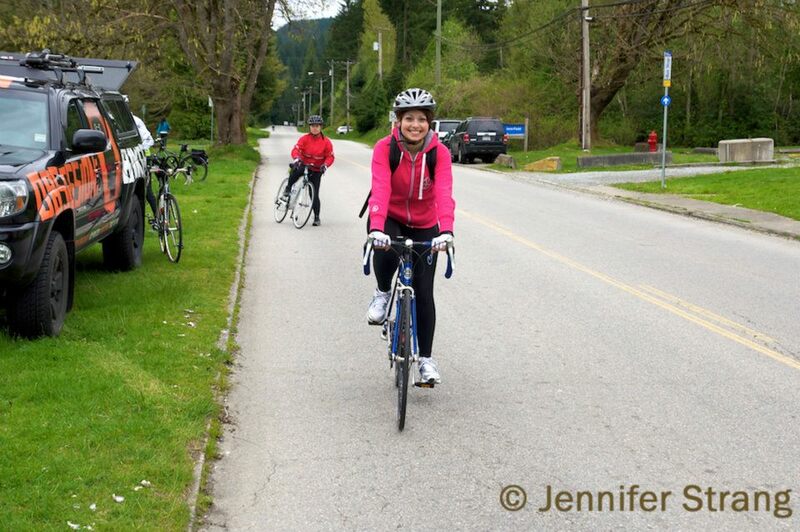 And here’s what Southern Burnaby looks like – See how high we were climbing…up to Burnaby Mountain! I thought the ride was VERY well organized. Volunteers were stationed at intersections to help stop the traffic and press the zebra crossing traffic light buttons. They encouraged us along the way and had arrows set up as various stages to help us figure out where we were going. 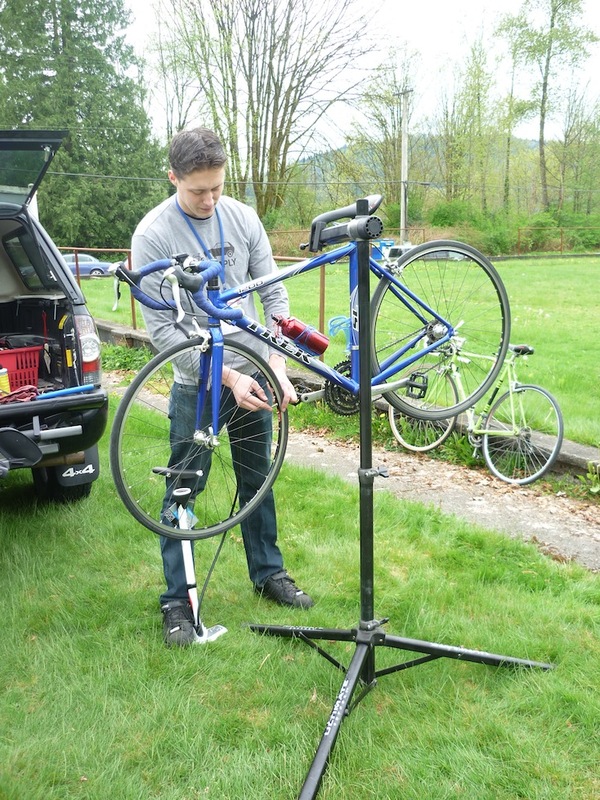 Much later… I encountered what is known as a ”Mama Bear” before we made it to the Port Moody pit stop. A fellow rider who was in charge of “sweeping” i.e. making sure no riders get left behind and everyone is safe noticed I was riding with clipless pedals and sneakers and she gave me an earful about it. I had to charge my pedals in order for her to allow me to continue. Obsession Bikes were on site to tend to any bike issues – so she got the helpful guy to change my pedals for me as soon as we got to the pit stop, and he also pumped up my tires as they were getting kinda low! I actually had my brand new clipless shoes in my backpack but I was way to scared to put them on and ride clipless. Originally I was thinking of riding with one sneaker on and one clipless shoe. In hindsight I am so glad I didn’t. A. Because it would have looked so stupid. B. Because I really needed to practise on the grass and easy terrain first to build some confidence (more on this later). Of course Mama Bear was only looking out for my safety but it was kinda weird feeling like a 7 year old again! Haha – look at my face in that picture – I was pouting like a grumpy kid!! Kathy and I had a BRIEF (and I mean super brief) rest, enjoyed some snacks, and soon we were heading back! We could’ve continued to Belcarra but the hill leading to that final destination was described as a ghastly, super-steep climb and we were in no mood for that! 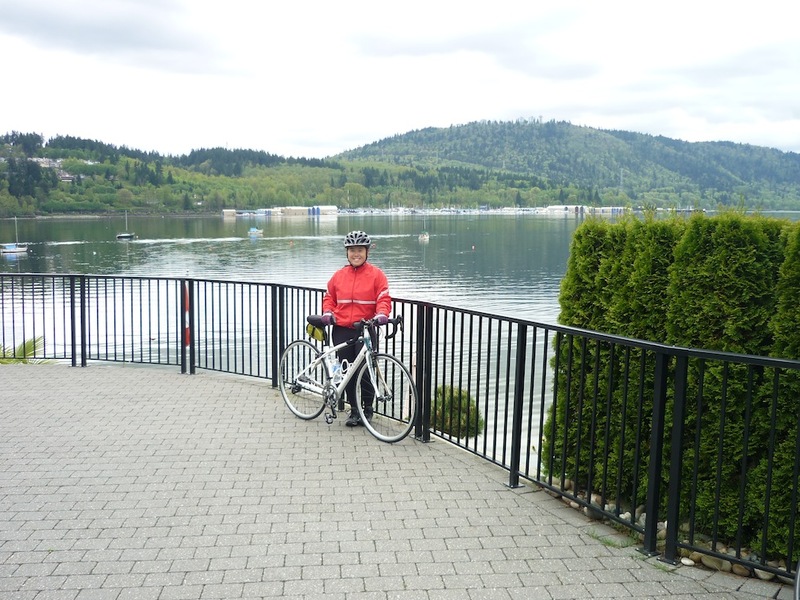 Our Port Moody photo opportunity by the water…. 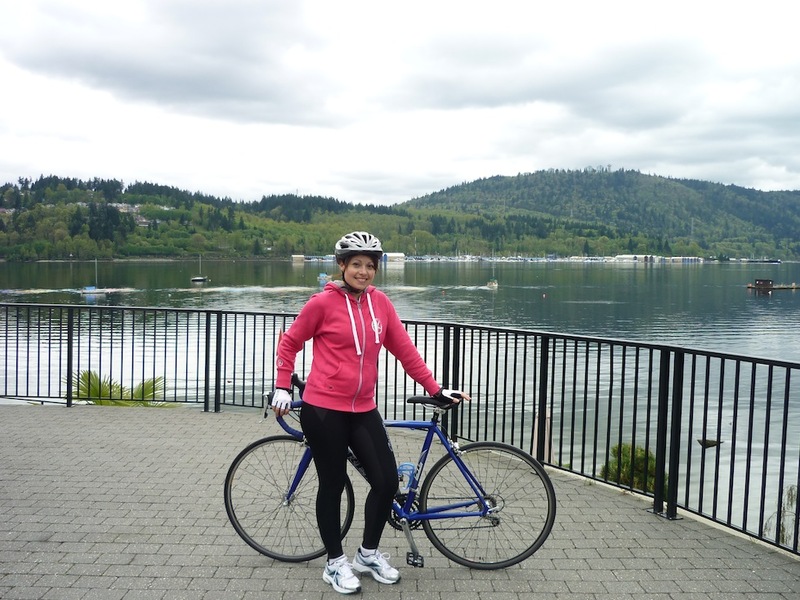 This was my first EVER time visiting Port Moody – I thought it was so beautiful. I love how the houses there blend right into the forest, and of course that it is by a river – so the houses have water views. It’s probably a really nice place to raise a family. Kathy and I finally made it to the finish line – where we spent a good 20 mins checking out all the bikes and bike fashion on the other riders. 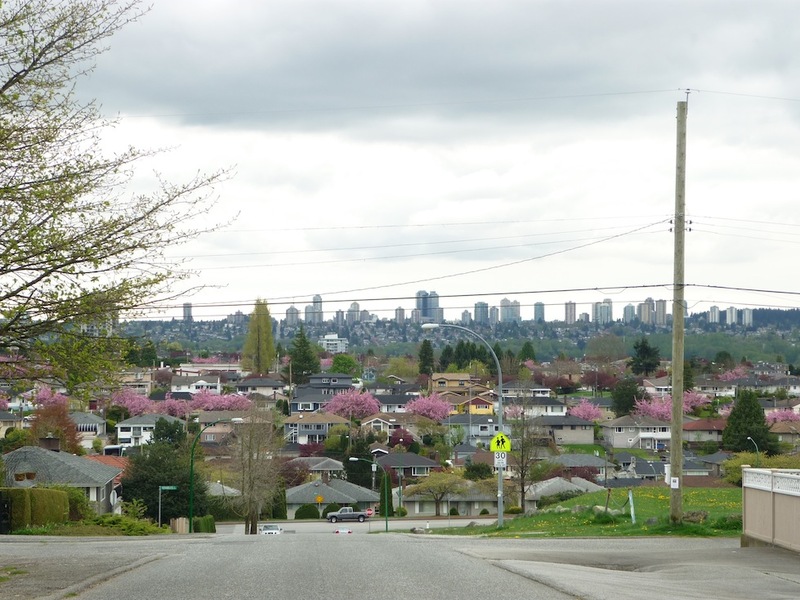 We were so worried that cycling back via Adanac was going to be a killer – but it was for the most part all downhill, as Vancouver is situated at a lower elevation than Burnaby. 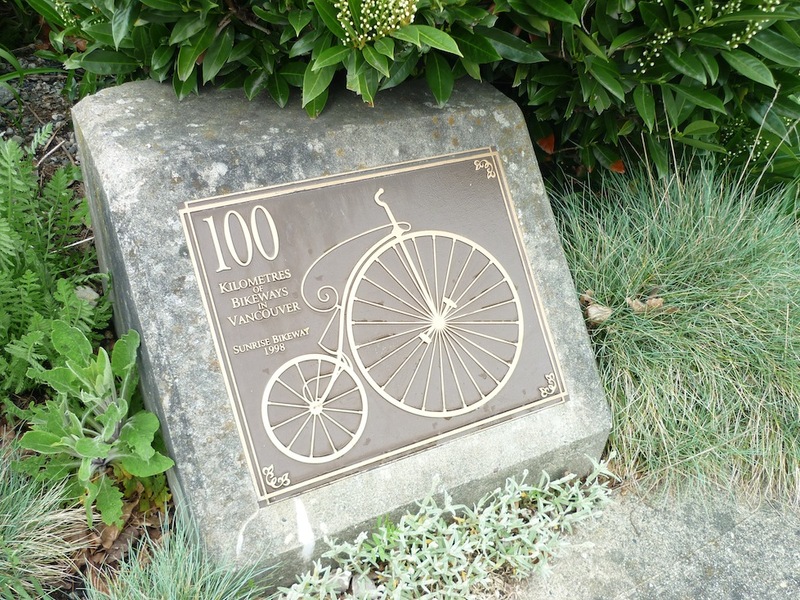 I caught this little cycling notice/ monument on the Adanac route. Isn’t it pretty? I’ve recently taken a liking to murals…. I think this one is very pretty and retro! Totally has nothing to do with cycling, but EVERY person in Europe who has ever watched a UEFA football match on TV knows it and it inspires me everytime I hear it. It’s so beautiful!